Group your projects into portfolios; organise your projects in a way that makes sense - perhaps by genre, client, subject or time period. One of the unique features of Fabrik is the concept of portfolios. Think about these as a way to group together and organise your projects in a way that makes sense, perhaps by genre, director, subject or period. Every Fabrik site has a main portfolio that your projects (your work) belong to. This provides the main feed of content for the home and project pages on your site. 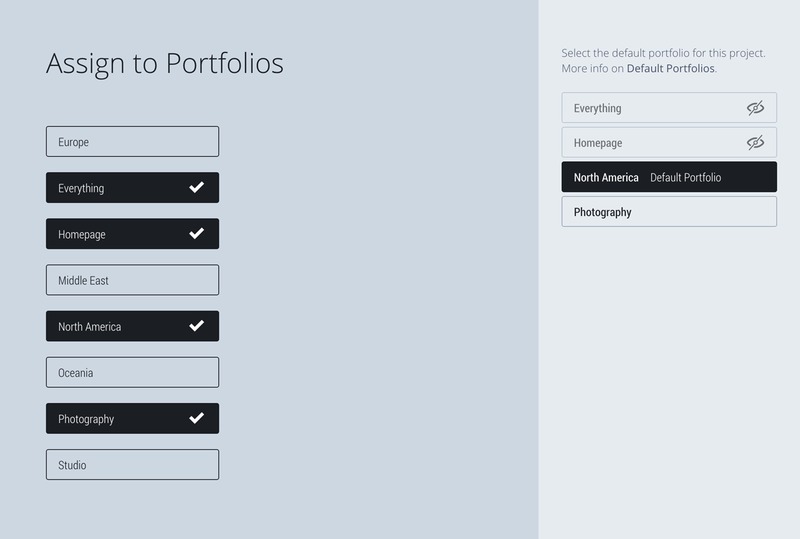 To add a new portfolio log in to Fabrik and go to Portfolio > Portfolios on the main menu. Then click the "Add a new Portfolio" button. Give your portfolio a title and cover image. The other sections are optional. Finally click "Save Project" to save your changes. Clicking a portfolio then display its projects. This works well if you have quite a few portfolios. You can add either type of link from the Fabrik dashboard. Go to Customise > Menu on the main menu and you'll see links to the "Portfolios" page as well as any custom portfolios you've created in the side panel. We have a detailed tutorial on customising your site menu here. You're not limited to just one portfolio per project. Some of our customers use portfolios for individuals (e.g. Directors) and Genres (e.g. Music Videos). The site featured in this example uses our Aidura theme, perfect for Designers, Photographers and Artists.